The apparatus apparently cured a patient of deafness by pumping air through the ears via cotton-covered electrodes soaked in salt water. After pumping in air, a jolt of electricity generated by the solenoid coils is sent to the patient’s head. Two “Electro-Magneto Storage Cells” batteries were placed inside the top cover. The Lindian Collection of Medical Devices has some incredible close-up photos of the device’s structures and an overview of the instruction manual. 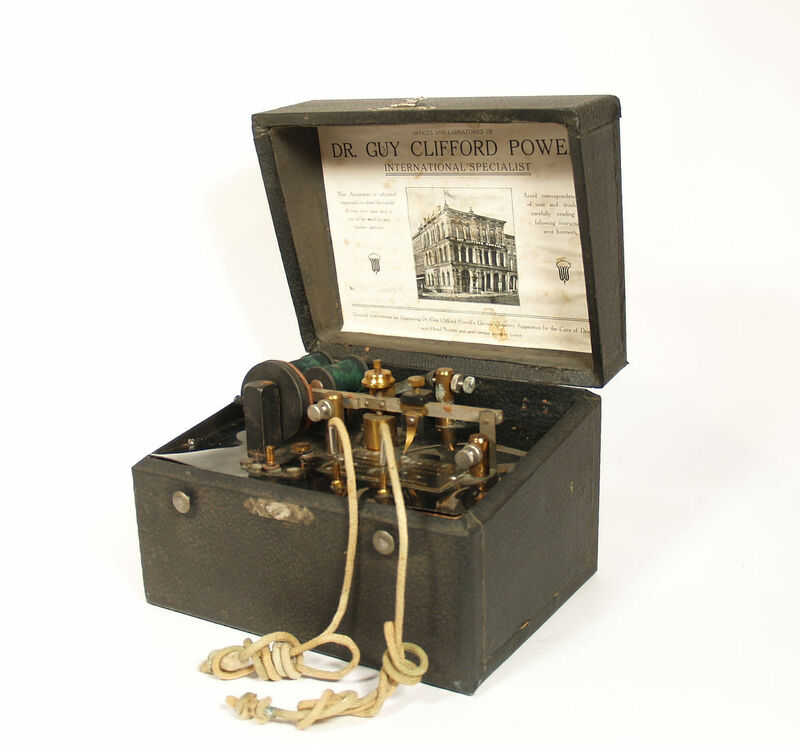 The Electro-Vibratory apparatus was initially priced at $100 and promoted through mail-order marketing. 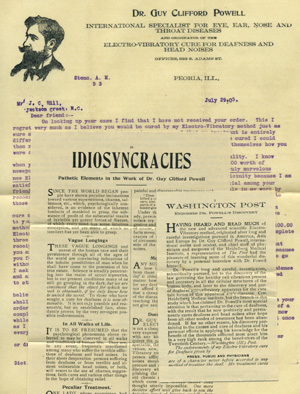 Powell advertised himself as an “International Specialist,” even printing his image alongside his adverts for the device. Prospective clients would write in, request a trial, and the device would be sent to them once payment was received. Apparently as Powell risked being exposed as a fraud, he offered a hefty discount for clients—they only had to pay $15! Testimonials and advertising ephemera from the Powell Company.